Sega Sammy released their annual report for fiscal year 2018 (ranging from April 1, 2018 to March 31, 2019) earlier this month. In it, they reinforce their desire to make use of their localization capabilities for global releases of their games moving forward. 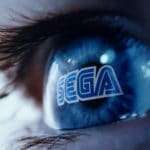 Describing their process of localizing Japanese games for overseas release, Sega Sammy emphasizes that they aim to simultaneously release games around the world, elaborating on a previously stated objective of their Road to 2020. During the product development stage, game content is shared with the localization team for translation before the development is finished, facilitating the rapid release of foreign language versions of the game. We will strengthen such collaboration further with the aim of simultaneously releasing games around the world, which is an objective of Road to 2020. 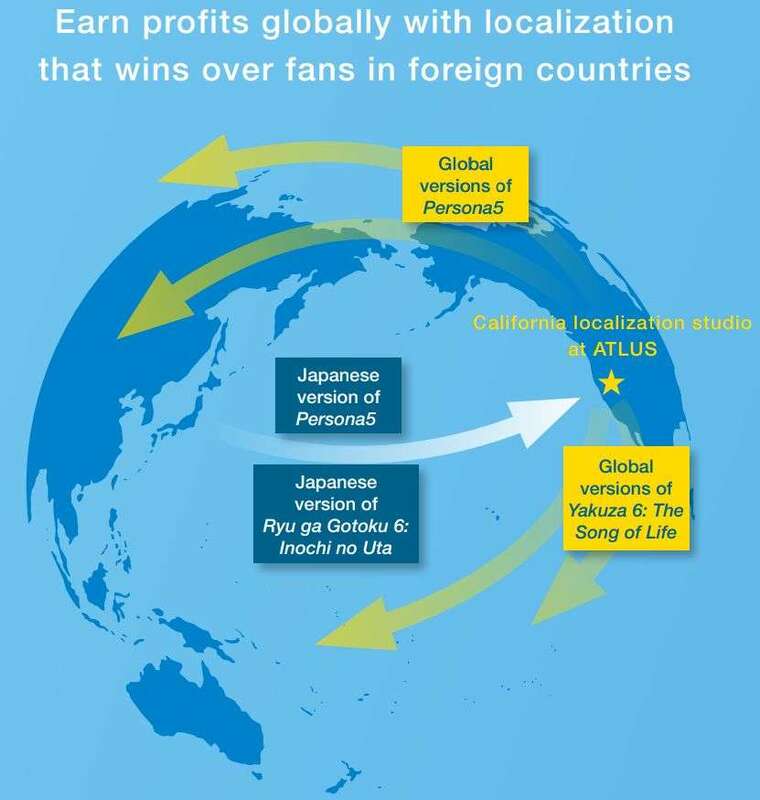 Improving localization quality, strengthening cooperation with Atlus USA, and promoting global development at an early stage were bullet points previously outlined by Sega Sammy in their “FY Ending March 2018 2nd Quarter Results Presentation” in November 2017. There is one more key factor that explains the brisk sales overseas. Before a Japanese game is released overseas, it is localized into the language of each country and region. 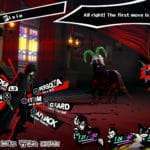 For example, Persona5 has been translated into three languages (English, traditional Chinese, and Hangul). No matter if a game is popular in Japan, it is unlikely to win over fans around the world if the localization is insufficient. The SEGA Group has localization studios that make a huge difference when games are sold overseas. 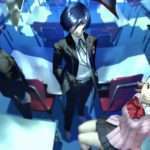 ATLUS became a member of SEGA Group due to the transfer of business in 2013, which has the studio located in California, U.S.A. 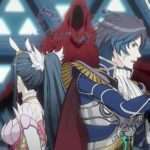 The studio understands both Japanese and American games very well, and is able to localize Japanese games in a way that accurately conveys the unique world views of Japanese titles to local gamers. The studio is able to maximize the entertainment value of localized games that reflect these unique world views, and this has led to very positive reviews from local gamers. With widening prospects on international development and publishing, Sega Sammy determines that prioritizing fast, quality localization for their biggest titles is becoming more and more important. This is especially the case after seeing Persona 5‘s worldwide success. I don’t think this will have a notable effect anytime soon on Sega Sammy’s smaller titles like P3D, P5D (which are releasing about 6 months in the West after Japan), or even Persona Q2: New Cinema Labyrinth (which does not have a Western announcement as of yet). 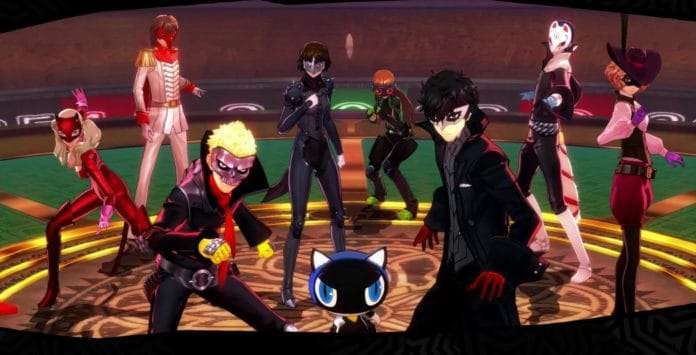 But what this will affect are Atlus’ biggest titles, with potentially simultaneous worldwide releases (or close to it) for games like Persona 6 or Shin Megami Tensei V.